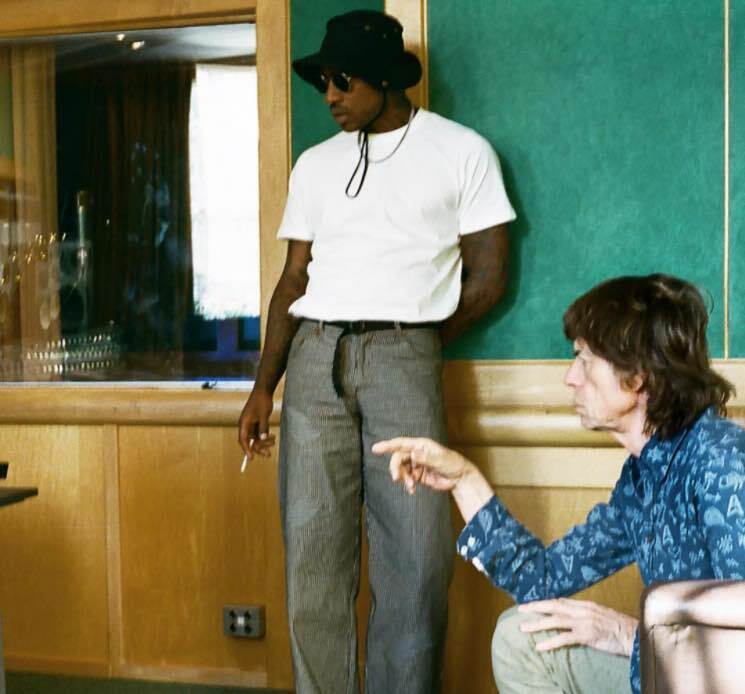 The Rolling Stones recently hinted at plans to head back into the studio soon, but it seems that frontman Mick Jagger has been up to some music-making of his own. Coming as part of the newly released five-track EP Gotta Get a Grip / England Lost (Reimagined), the 74-year-old rocker has unveiled a pair of new original songs, and he's enlisted a couple of impressive guests for both. "England Lost" finds him pairing up with UK grime rapper Skepta (as previously teased) to take shots at England's isolationist attitude and immigration policies. The track has been treated to both a lyric video and a Saam Farahmand-directed clip. "Gotta Get a Grip," meanwhile, also offers up politically charged one liners like: "Immigrants are pouring in / refugees under your skin / Keep 'em under, keep 'em out / Intellectuals, shut your mouth." The song has been paired with a video starring Girls actress Jemima Kirke. The clip is set in a sweaty nightclub, and the flashing lights and slow-motion effects make for an awfully tense viewing experience. For the new EP, Jagger has also added a series of remixed versions of "Gotta Get a Grip," which arrive courtesy of Tame Impala's Kevin Parker, Matt Clifford, Alok and Seeb. Check out the videos for "England Lost," the video for "Gotta Get a Grip" and the latter track's four new remixes below. You can grab the whole EP here via Apple. The Rolling Stones' most recent release arrived as a series of blues covers called Blue and Lonesome last year. Jagger's last solo album was Goddess in the Doorway, released all the way back in 2001. Skepta & Wizkid "Bad Energy (Stay Far Away)"